Hammond B3 virtuoso Ike Stubblefield is a music industry legend. With almost 50 years in the business, you may think he’s seen and done it all, but he’s just getting started. He cut his teeth backing Motown legends like the Four Tops, The Temptations, Marvin Gaye, Martha Reeves, Stevie Wonder and Rare Earth. He lent his soulful R&B style to Al Green, Ike & Tina Turner, Curtis Mayfield, B.B. King, The Pointer Sisters and George Benson, and helped create the classic B3 sound that others would imitate for generations to come. In 2010, he collaborated with Grammy-winning Atlanta soul man Cee Lo Green, recording organ and keyboards on 9 tracks. These days, the B3 icon and mini-Moog master stays busy jamming with Papa Mali in New Orleans, rocking with Big Hat in Nashville and producing out of his Atlanta studio. Drawing from his recent time with the Derek Trucks Band and years on the road as a musician-for-hire, Stubblefield is finding his true passion collaborating with old friends and bringing the loose ends of an illustrious career together on his new project, The Ike Stubblefield Trio. Stubblefield’s craft and ingenuity on the keys landed him a plethora of jobs within the music field. Always busy with a new project, his career twists and turns have involved writing and scoring music for commercials, TV shows and film; founding clubs in Vancouver, Toledo and Atlanta; and performing as one of the world’s premier organ players. 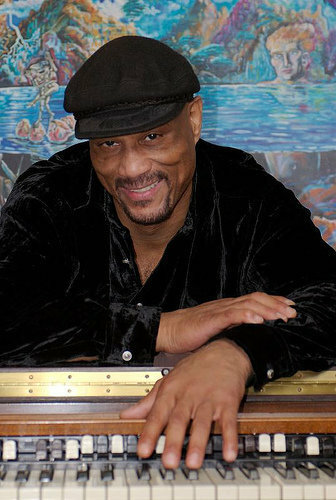 “The B3 organ at the hands of a player like Ike Stubblefield becomes a force of nature,” one reviewer wrote following his headlining of the 2011 Savannah Music Festival. A fixture of San Francisco’s Haight-Ashbury neighborhood in the early 1970s, Stubblefield broadened his sound to fit the rock stylings of Janis Joplin, Eric Clapton, Jerry Garcia, Rod Stewart and Boz Scaggs. His reputation as a musician’s musician ensured his spot at the top of industry insiders’ lists of the most sought-after supporting band mates. After traveling the world as a performing artist, Stubblefield took to the studio in 1976, producing, composing and writing songs with the likes of Phil Spector and Quincy Jones. Other world-famous collaborators would include Jim Capaldi of Traffic and singer-songwriter/guitarist Larry Lee. Following 13 years of studio work through the 80s, Stubblefield spent much of the 90s performing in jazz clubs across the Pacific Northwest like Vancouver’s The Purple Onion and Seattle’s Jazz Alleywith his band Is Not Was. After relocating to Atlanta in 2001, he Packed folks in at The Roxy, Variety Playhouse and The Dogwood Festival. After 10 years of fighting with Cancer, Ike came back up and running stronger than ever, kicking off 2012 with a new CD, featuring the performances of 5 new (2012) Grammy winners. Ike also performed 29 Cd’s in 2012, including those of CeeLo, Jimmy Herring, and Ruthie Foster”s “Let It Burn” to name a few. But no matter the job, Ike continues to earn accolades from his peers and critics alike. Ike Stubblefield is more than just a performer, he’s an artist in the truest sense of the word; whether writing, producing, or composing. He is always working to perfect his art.